Another bank holiday weekend with questionable weather conditions saw many Revo team members in action in various events across the country. Some great times and finishing positions, a few personal bests and lots of learning experiences to be had along the way! Another cold and breezy springtime day in Cornwall, but a solid inaugural 50 mile time trial performance from Liam now sets him in good stead for the forthcoming National TT in June. 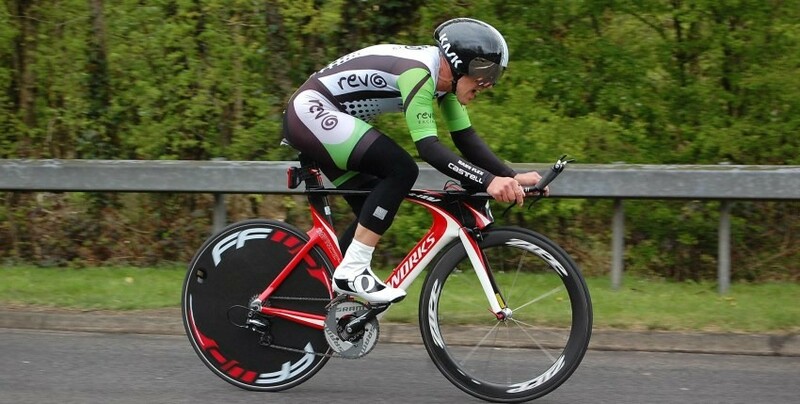 Julian continues to go from strength to strength, with an exemplary ride, smashing his personal best 50 mile TT time. Bank Holiday Monday saw several riders in action across the country, with Jon Crouch competing in the West Suffolk Wheelers Ixworth Cycle Races and several team members competing in the more local 10 mile Time Trial run by 1st Chard Wheelers. Some fantastic performances all round, with Rich bringing home a well deserved 4th position, Personal Best time, and a share of the prize money!